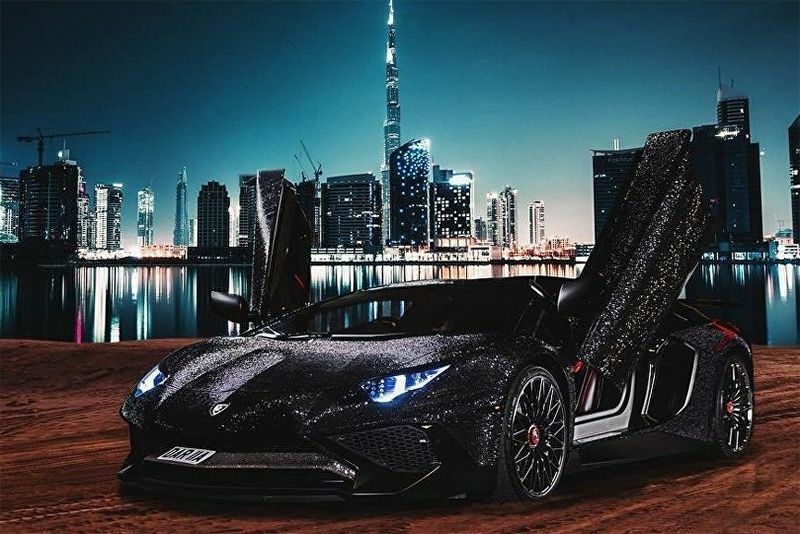 Instagram star, Daria Radionova, has covered her £270,000 Lamborghini in two million Swarovski crystals. Recently revealed on the streets in central London, this £270,000 Lamborghini Aventador has been covered in two million Swarovski crystals. Yup, Russian model and Instagram star, Daria Radionova, decided to turn heads with her extravagant modifications at a supercar rally in Knightsbridge. London auto customizers, CarsinCloaks, took over 700 hours to install the crystals by hand, covering its body, roof, bumpers and front grill. Originally red, the Lambo was resprayed black before the crystals were applied. Posting on Instagram, Radionova said: "I have no words to describe how shiny it is... it was a complete shutdown," referring to the large crowd that stopped traffic to get a glimpse of the glistening supercar. The 24-year-old Radionova also has personalised licence plates – DAR 11A – as, clearly, a sparkling Lamborghini Aventador isn't enough to tell people you've arrived.